In a previous article, Installing Linux via PXE using Windows Deployment Services (WDS), I talked about using PXELinux to enable deployment of WDS images, Linux distros and a multitude of tools. It got a bit heavy when trying to make this all work but the system is now up & running and we have already benefitted from it on many occasions. So here is my guide for Microsoft admins wanting to enhance their existing Windows Deployment Services server. This should be obvious and if you are reading this I imagine you’ve done it already. Ours is running on a Windows Server 2003 box but it should work fine with the latest, more secure, stuff. 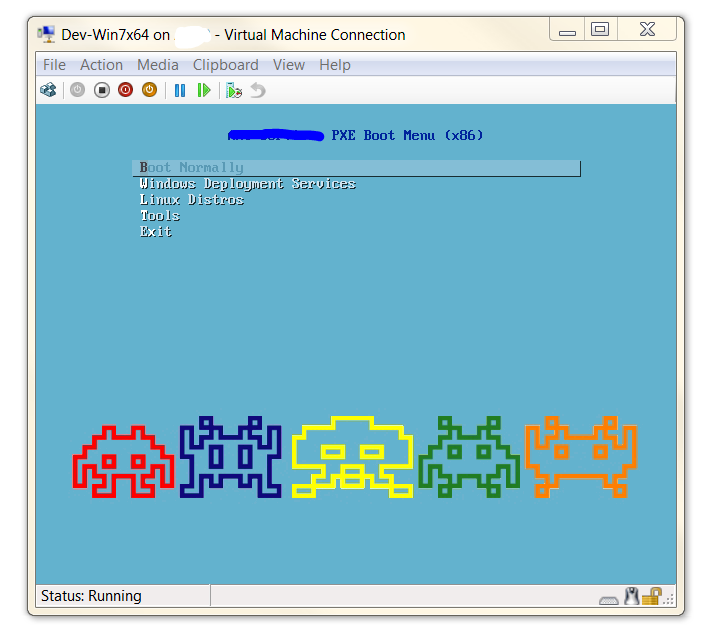 The pxelinux.cfgfolder is where you store the files that make up the PXE boot (F12) menu. First create a new text file called default. This is the first menu that loads. If you want to use a custom background, place it in the \\WDS\REMINST\Boot\x86folder. The image should be a 640×480 jpeg file. Before you go any further, do a test PXE boot to check everything is OK. If you can boot into the new menu and still load WDS then we are ready to add our Linux distros and other tools. If not, go back to step one and check everything. That’s all there is to it. As long as you download the correct files and boot the correct boot options on the append line of the menu, you should be OK. This is a really useful tool to have in our SysAdmin arsenal. I encourage you to give it a go. Let me know if your successful, or if you are having any problems getting it working, in the comments section. I’d also love to hear of any other tools you’ve added to the PXE menu.